Every morning it’s the same story. You open your inbox and it’s flooded with tons of unread emails, about work, promotional offers, news articles, blog posts, follow ups, personal to-do’s and more. By the time you’ve dealt with them, it’s noon already and you’ve lost your entire morning. How do you fix this problem and achieve the mythical empty inbox (also called inbox zero) ? Here are 5 ways to ensure that you’re not distracted by unnecessary emails and that your inbox is regularly empty. Do you open promotional emails from sites like Amazon, thinking you’ll just have a peek and close them? By the time you’re done, you realize you’ve spent half an hour going through all their attractive offers and even clicking on some of them, which in turn, take you to the Amazon website, where you continue browsing more products. Happens with me all the time. The simplest way to cut through unimportant and non-urgent emails is to follow the rule “If you touch it, you own it”. 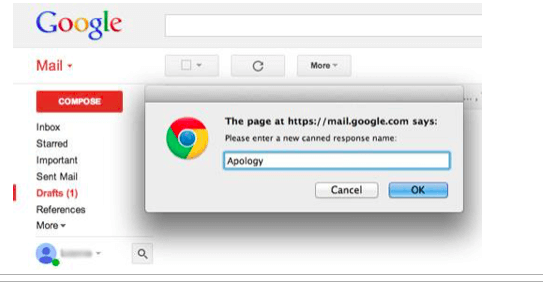 If you open an email, you must do something about it – reply, delete, archive or file it. If you can’t do one of these actions, then you shouldn’t be opening that email in the first place. In fact, to make it more effective, you can even apply David Allen’s 2-minute rule to getting things done – if you can reply to an email in less than 2 minutes, do it now. Else do it later. No matter how well you manage your inbox, you’ll keep getting emails everyday, throughout the day. So there is no point in keeping your inbox open all the time, hoping to clear unread emails as soon as they arrive. It will only keep you from doing other tasks. Don’t keep your inbox open in a browser tab, running in the background, and definitely turn off notifications. This will allow you to deal with your emails all-at-once, as well as focus on other tasks rest of the time. Mailbird. Master your email and productivity apps with one tool only. Do you respond to your emails, one at a time, everyday? Instead, process your emails in batches of 5,10 or 20 at a time. 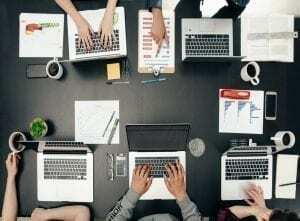 The idea is to group your emails and respond to them at one go. When you batch your emails, you’ll be able to spot similar messages and even see patterns in them. Accordingly, you can anticipate their content and respond faster. There are multiple ways to batch your emails. You can set a minimum threshold before you begin responding to your emails. For example, if your inbox doesn’t have at least 5 unread emails, don’t act upon them. You can also batch your emails based on their topic. For example, group your customer support emails by labeling them as ‘support queries’ and respond to them as soon as your arrive in your office. Or send 25 sales pitches to your prospects before your first cup of tea. 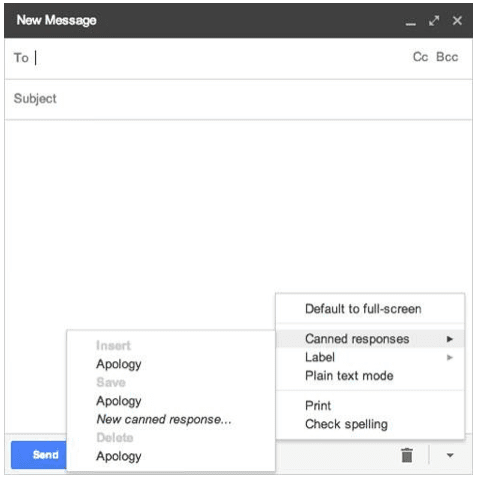 You can even create canned responses that you can quickly customize before sending your reply. Canned responses are a great way to save and send frequently-used messages. For example, if you get too many emails asking for login steps to your product, you can setup a canned response to quickly reply to such emails. This way you don’t have to type in the same reply again & again. 1. Log into Gmail. Click the gear icon on the right and select Settings. 3. Find the Canned Responses option and enable it. 4. Click compose, and type the message you’d like to save as a canned response. 6. Type a name for your canned response and click OK.
7. 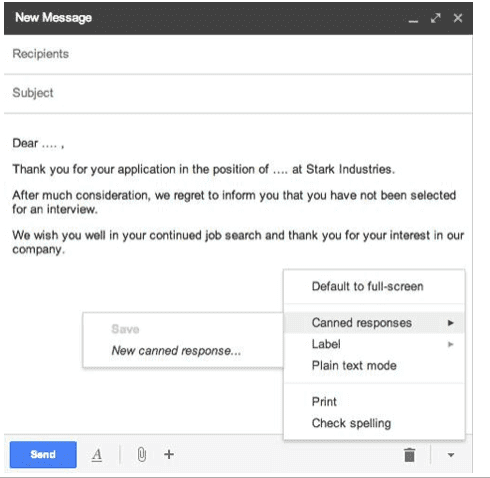 Now, when you reply to an email, hit the reply button as usual, but instead of typing your entire reply, use the arrow at the bottom right to select your saved canned response. You’ll find your entire saved message appear directly in the Compose window. You can simply enter the recipient’s name and email address, and quickly send your response. You must have noticed that most of the emails that we receive everyday are nothing but newsletters and subscriptions.  Use plugins like Unroll.me to consolidate them in one place and view it as a daily or weekly digest. Instead of having to deal with dozens of emails everyday, you’ll just have one message. In fact, Unroll.me is integrated in Mailbird and can simply be activated through their App section. This allows you to quickly scan all the offers, news articles and blog posts in one message, and even unsubscribe from multiple lists at once. Archive unimportant emails based on keywords such as “invitation” to filter unnecessary beta invites to newly launched websites, apps and social networks. On the other hand, you can also filter useful emails based on keywords like ‘conferences’ or ‘expo’ to keep track of all the important events in your industry, and automatically send them to a ‘Key Events’ folder in your inbox. Gather emails from important senders, such as your bank statements or responses to your client proposals, so that you don’t miss important emails amidst all the clutter. 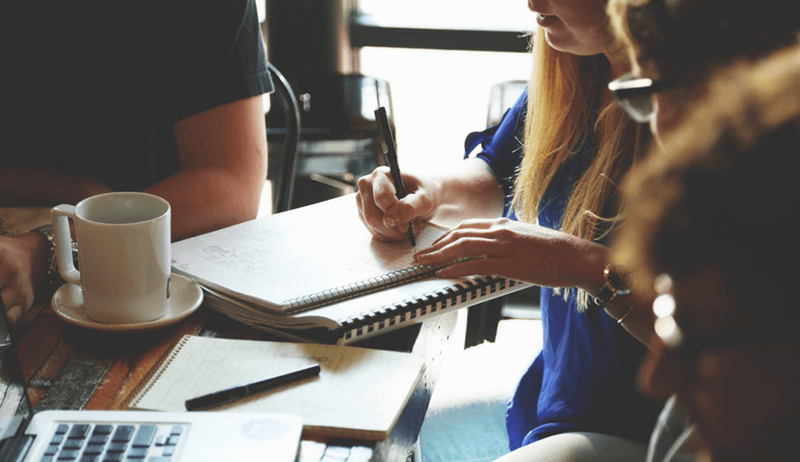 In fact, spend an hour every month, revisiting your existing filters and adding new ones, to refine them as you get emails about new topics, or from new senders. This will ensure that your filters get better with time and keep your inbox clean regularly. If you’re subscribed to many blogs, then you should try out RSS readers like Feedly to aggregate and monitor their articles, instead of letting their newsletters clutter your inbox. 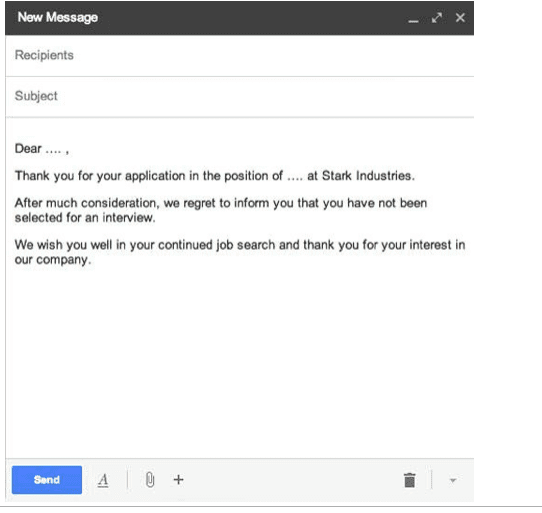 Sometimes, you may need do to some research before replying to an email. Such emails can take up a lot of your time, and block you from moving on to other tasks. 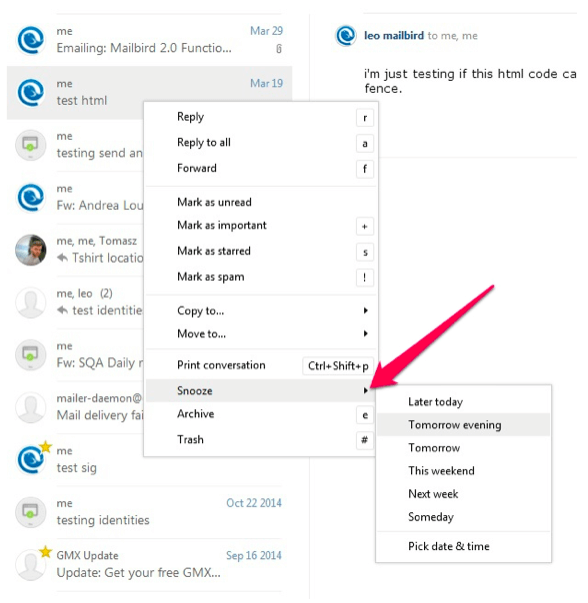 You can use the new Snooze feature in Mailbird to reschedule your emails to reappear later. So hit the Snooze button on such emails so they appear at a more suitable time and free you from the responsibility of replying to them immediately. This technique is also great for batching similar emails together. 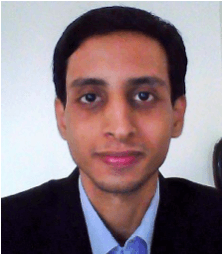 For example, you’ve posted a job opening and keep receiving interests from potential candidates throughout the week, that you intend to review on Friday. So you can reschedule all the emails from job seekers to reappear in your inbox on Friday morning. They won’t fill your inbox or keep you preoccupied, and you’ll be able to deal with them efficiently. 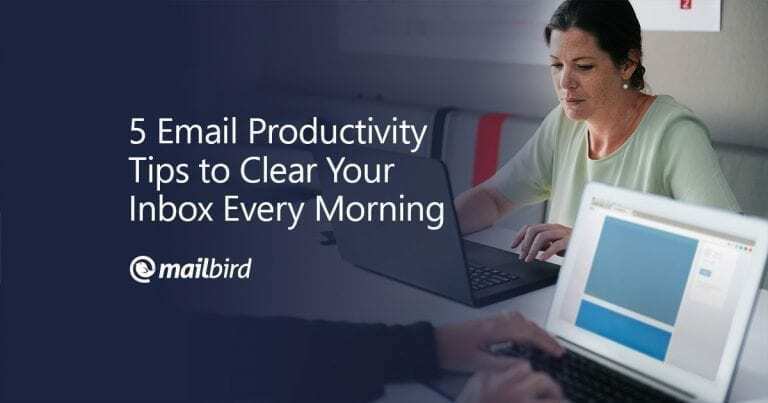 These productivity tips will help you keep away junk emails, and allow you to focus on those emails that are actually important and deserve your attention. Although we all get plenty of emails everyday, if you observe carefully, they can be grouped into a handful of categories (such as newsletters, sales offers, social media updates). The key is to understand what types of emails distract you the most and put measures in place to stop them from wasting your time.